The restaurant industry is faced with the likelihood of dramatic change. I’m not referring to the type of change that we are use to: trends in food choices, style of dining, size of portions, shifts in flavor profiles, etc. ; I am referring to a much larger, internal issue – the shift in how young cooks view a career in the kitchen. This is a sensitive issue that frequently brings up strong opinions among chefs with responses like: “Poor work ethic, lack of desire to commit, faltering passion, or no respect for the system.” Although this may seem to be the case on the surface, I would challenge the truth to these opinions. Now that every chef over the age of 35 has his or her feathers ruffled, allow me the opportunity to point to a different observation. Every industry goes through change, and every industry that resists this inevitable situation struggles to adjust. The restaurant business is no different. We, you and I, grew up in a different era. We worked our way up through a business that was quite unforgiving, rigid, and, to a large degree – unwilling to see their demands through the eyes of the person trying to learn and get ahead. Yes, you know that I am right about this. We accepted our fate and lived by the mandate that since the chef went through hell to get to where he or she is, then every cook must do the same. We never questioned our schedule or the expectation that we would work as many hours as the chef demanded. We accepted that time with family should not be a concern and missing all of those important events always took second seat to the needs of the restaurant. We accepted the fact that the chef never had a responsibility to teach – it was the cook’s responsibility to quietly observe from the sidelines and try to pick up a new skill through systematic spying. We accepted the fact that the chef would of course lose his or her temper and that the cook would be the willing recipient of demeaning verbal attacks. We accepted the fact that a life with meager wages and no benefits was the price to pay for the privilege of learning how to cook. Sound familiar?? So, we (all of us over the age of 35, and particularly those over the age of 50) find immediate fault with those who are not interested in this scenario. Chefs from coast to coast write young cooks off as lazy and uncommitted. At the same time we wonder why we can’t find cooks to fill our empty positions, why cooks leave us at the drop of a hat, and why operating our kitchens seem even more difficult today than it was 20 years ago. Now there probably are lazy, uncommitted cooks out there who expect everything to be handed to them without the hard work that it takes to learn and advance, but I do believe that there is an even larger number who simply feel disenfranchised and apart from the subservient model of old. This doesn’t mean that they are unwilling to work hard, lack passion for food, or don’t view their job as important. It may simply mean that although their job is an important part of their lives, it is simply not the only important part of their lives. Now, before you angrily hit delete and move on to something else on the Internet – take a breath and hear me out. Remember, we (the industry) are going through a dramatic change and it will not stop simply because we want it to. If we are to continue to enjoy the many positive attributes of working in restaurants, if we are to enjoy building a team to accomplish out goals of great food, profitable restaurants, and happy guests, then it might be time to take a breath and look in a mirror. If you want to relate to this new workforce – know that they are just as interested in learning about food and cooking as any other generation. Unlike generations before, they simply want to view this as an expectation of the job. Chef’s can benefit from investing in those young cooks who have the same type of goals as they had a few decades ago. The days when a chef could have high expectations of cooks while dismissing his or her role as a career guide are gone. Of course, there have always been chefs who took on the role of mentor as a serious part of their responsibility, but if today you want to build and retain that team of passionate cooks, then mentoring must become an active part of everyone’s job description. This is how you attract and retain the very brightest young cooks and build a dynamic team for your restaurant. There is a difference between critique and criticism. The difference lies in the method of delivery and the purposeful follow-through. It is very easy to criticize a cook for mistakes, but the chef of today must follow through with demonstrating why it was wrong and how to correct it. There are very few other careers that view a schedule as totally fluid. Schedules allow an employee to map out his or her life in and outside of work. A schedule is something that has a reasonable amount of structure. In restaurants – a schedule means very little, it can easily change every day creating a sense of uncertainty in a person’s life. Granted there will always be unusual situations that require scheduling changes (employees calling out, unpredicted changes in business volume, a last minute banquet, etc. ), but if a chef expects to attract and retain today’s cook then he or she must add some level of predictability to a cook’s schedule. Is this unreasonable? Here is one of the big bones of contention. We (again those over the age of thirty-five) grew up in an industry that professed that while you were “learning the craft” you should not expect much above bare minimum wages and benefits should never be expected. After all, restaurants cannot afford to pay or offer any more and realistically – young, in training, cooks are not worth more – right? There is no question that at the entry level, pay much beyond minimum would not be a wise financial decision for a restaurant, but once a cook has gained those skills that make him or her truly valuable to the restaurant, then something more should be expected. How can we ever retain good kitchen staff, with the requisite skills that the restaurant helped to build, without wages and benefit that match that skill level? The chef needs to find a way to make that work within the kitchen budget and fight for it. When I, and I am sure many of you, was growing up in the business, it would rarely have been appropriate for a cook to offer his or her opinion about something to the chef. Menu selection, methods of cooking, station set-up, and plate presentations were the purview of the chef and the chef only. Today’s cook looks for an avenue to express those opinions and have an impact, at some level. If properly controlled, is that such a bad thing? Some may view my observations thus far as kowtowing to a cook who is still learning and failing to teach that cook the proper amount of discipline to be successful. Just the opposite – I think that chefs should be even more astute at requiring observance of standards, expecting excellence in everything that a cook does, and holding each person accountable for these expectations. 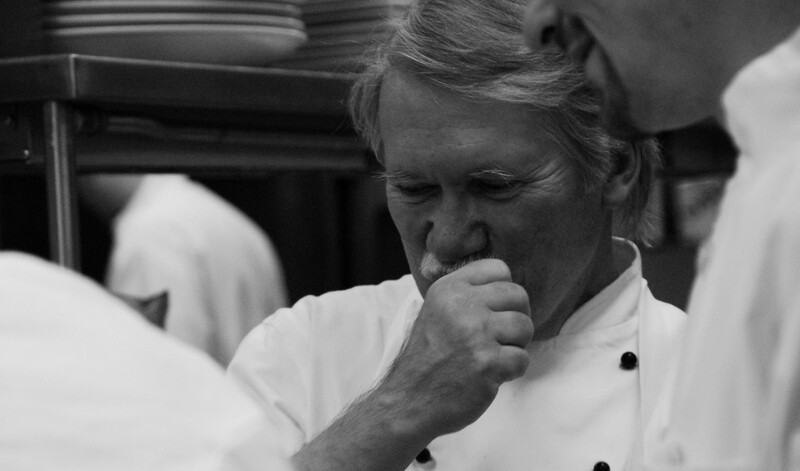 The chef’s goal is always to build a strong, cohesive, fully committed team. Without this goal, the chef and the restaurant will never reach an acceptable level of success. This should thus be the focus of today’s chef – find the right players, teach and mentor them, expect them to work well together, hold them to the highest standards, and reward them for a job well done. The aforementioned points are designed to get to that result. The phrase: “Attitude is everything” has a lot of merit. The process of building a kitchen team of the current generation of cooks begins with looking for the attributes that define how well an entry-level cook will adapt. The most important attribute is a positive attitude. Hire the attitude that is defined by enthusiasm, interest in learning, a cup half full approach to life, and a true attitude of interest in food and cooking. Everything else can be taught. Well, it doesn’t always work. If a cook truly is lazy, lacks the commitment to improve, fails the dependability test, doesn’t play well in the sandbox with others, and lacks that real love of food, then the chef must move that individual out the door. Never do this without taking the opportunity to impart a lesson on life – this is what a mentor does. If you had an open mind that allowed you to read through this article in its entirety, then you should understand that as our industry is changing, so must the chefs, managers, and operators. Don’t assume that the problem is always this new generation of employees, but rather first take a look in the mirror and view your responsibility to take the lead. All good points which are overshadowed by the outrageously high cost of living. I own a shop with 7 employees – all full time. All with set schedules, no nights, no weekends and no one works for less than 12.00 hr. Rent here in the 93117 run about 1300. studio/sml one bedroom. In 1976, in San Francisco, my first job was as a pantry girl, I made 9.50 hr for 40 hours – and I paid 375. rent for a 1 bedroom flat in the Mission, no nights and a ‘flexible’ schedule – I loved being a cook, I loved the life the industry gave me – I was rolling in cash….now my employees (after 40 years!!) make less than 50% more than I did AND pay 3x what I did in rent. That is the problem. If I had had to work my 10+ hours a day, get yelled at, run up and down old stairs and gone home w nothing I know I wouldn’t have stuck with it…. low wages aren’t the problem, shi**y attitude isn’t the problem – working hard for so little – now that’s a problem. Totally agree. Times are changing i have been trying to let the new breed understand that although our generation of chefs were taught different. We need them to understand that life in this industry is not handed to you. You will if you truly want it be consumed by it. And the reward is what you produce and the pleasure your customers get from your love of food. Pleasure doesn’t pay the bills. Kids have fled this business in droves because they can’t afford to stay out on their own. $1000 for an apartment, $400 for a car, no health insurance ($2000/yr penalty), etc. I clawed my way to management, then went corporate, now I’m alright, but I can’t imagine trying to provide for a family on line cook wages. Owners better start changing how they operate their budgets or they’ll be no cooks worth a salt left.